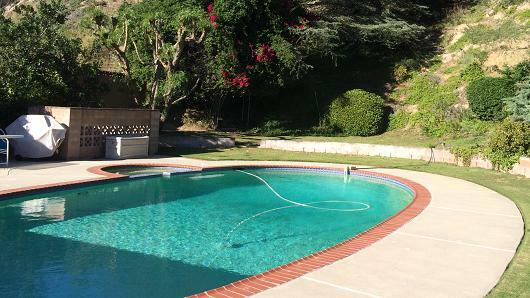 Without a doubt, swimming pools are ingrained in the lifestyle of California residents. However, this harsh drought has brought about big problems for the pool owners and for the whole $5 billion pool industry, leaving them to file appeals and debate with the authorities that see these pools as complete water-wasters. There are already mandatory water restrictions that took effect across the whole state with the hopes of decreasing water usage by at least 25 percent. Example of which is the total ban of constructing new swimming pools in Montecito, which is home to some of the most prominent people in entertainment and business. So far, this is one of the stricter aspects of such restrictions but if this drought persists and gets worse, other municipalities are sure to follow as well. In other places such as Coalinga, the ban on new pools have been lifted but there is a legislation that limits the draining and filling of pools to just once every 12 months. It’s not all bad since the appeals of the owners and of pool companies are starting to be heard. Water companies are trying their very best to see how fat they can stretch the water allocation, but even then, it all depends on how they can address the main problem that is the drought itself. If you’re a pool owner and very much caught in the middle of this whole predicament, it’s highly advisable that you immediately contact a pool maintenance Riverside company and let them help you address these issues, as well as lend a helping hand in taking care of your pool. If anything, such restrictions directly affect both pool owners and pool service companies, which make it even better to cooperate with them when it comes to preserving your pool water’s longevity. Besides pool cleaning services, they can also conduct weekly maintenance checks to make sure your pool is fully operational and not damaged. They can perform the right repairs and troubleshoot any existing concerns, especially if there’s a problem with the water filter or any other pool mechanism. You won’t have to worry about the upkeep of your pool even with the drought so long as you obtain the services of a reliable pool maintenance company.